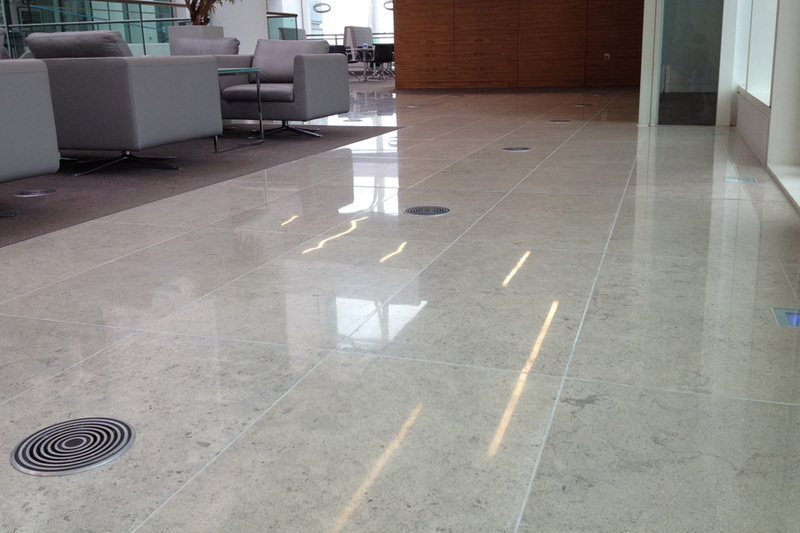 Beaver Floorcare were asked by a large facility management company (Norland Managed Services) to restore some large areas of blue limestone to 2 areas which were looking dull, tired and lifeless in Birmingham. We carried out a test area which successfully showed the client what the possible results were. The areas combined spanned over 800m2 over 2 floors. The process required 5 stages of diamond grinding and polishing to obtain a specified high-class, mirror finish. 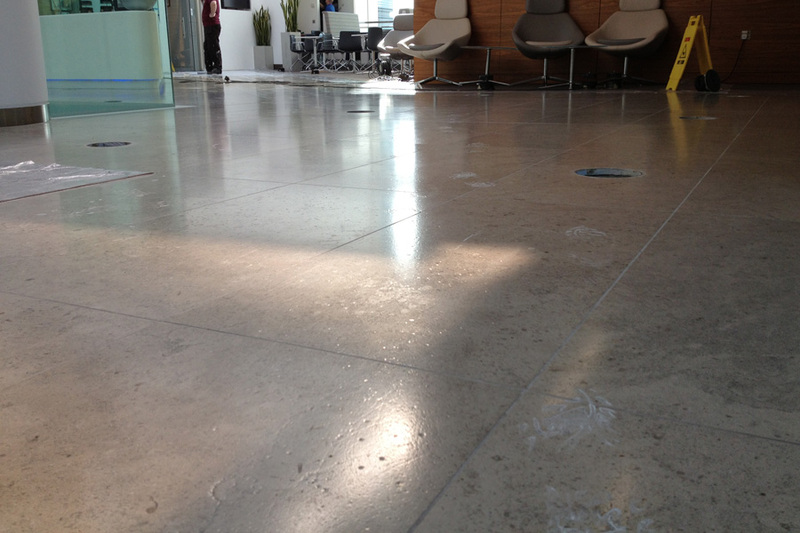 The floor was finally sealed using Protect Guard HD to provide a hard wearing, stain resistant surface. The works took 6 weekends to complete, this has now been added to the portfolio of stone maintenance contracts where we visit on a bi-monthly basis to deep clean and re-polish the surface.